Talk about Sandy Hook Elementary School is turning from last month's massacre to the future, with differing opinions on whether students and staff should ever return to the building where a gunman killed 20 first-graders and six educators. Some Newtown residents say the school should be demolished and a memorial built on the property in honor of those killed Dec. 14. Others believe the school should be renovated and the areas where the killings occurred removed. That's what happened at Columbine High School in Littleton, Colo., after the 1999 mass shooting. Those appear to be the two prevailing proposals as the community begins discussing the school's fate. A public meeting on the building's future drew about 200 people to Newtown High School on Sunday afternoon, with another meeting set for Friday. Town officials also are planning private meetings with the victims' families to get their input. Sunday's meeting was an emotional gathering with many speaking in favor of keeping the school. Although opinions were mixed, most agreed that the Sandy Hook children and teachers should stay together. They've been moved to a school building about seven miles away in a neighboring town that has been renamed Sandy Hook Elementary School. "I have two children who had everything taken from them," said Audrey Bart, who has two children at Sandy Hook who weren't injured in the shooting. 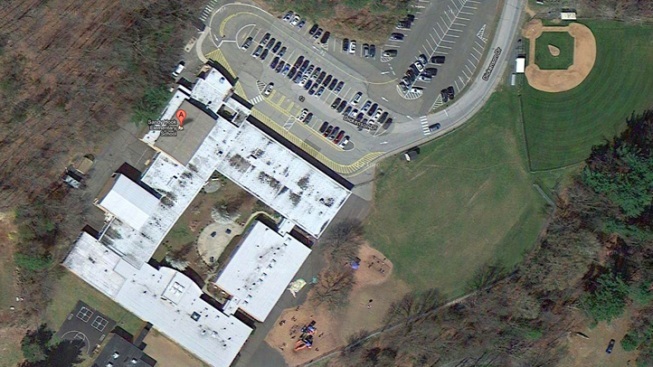 "The Sandy Hook Elementary School is their school. It is not the world's school. It is not Newtown's school. We cannot pretend it never happened, but I am not prepared to ask my children to run and hide. You can't take away their school." But fellow Sandy Hook parent Stephanie Carson said she couldn't imagine ever sending her son back to the building. "I know there are children who were there who want to go back," Carson said. "But the reality is, I've been to the new school where the kids are now, and we have to be so careful just walking through the halls. They are still so scared." Mergim Bajraliu, a senior at Newtown High School, attended Sandy Hook, and his sister is a fourth-grader there. He said the school should stay as it is, and a memorial for the victims should be built there. "We have our best childhood memories at Sandy Hook Elementary School, and I don't believe that one psychopath — who I refuse to name — should get away with taking away any more than he did on Dec 14," he said. Police said Adam Lanza, 20, killed his mother at the home they shared in Newtown before opening fire with a semiautomatic rifle at the school and killing himself as police arrived. Last week, residents around town expressed similar opinions about the school's future. "I'm very torn," said Laurie Badick, of Newtown, whose children attended the school several years ago. "Sandy Hook school meant the world to us before this happened. ... I have my memories in my brain and in my heart, so the actual building, I think the victims need to decide what to do with that." Susan Gibney, who lives in Sandy Hook, said she purposely doesn't drive by the school because it's too disturbing. She has three children in high school, but they didn't attend Sandy Hook Elementary School. She believes the building should be torn down. "I wouldn't want to have to send my kids back to that school," said Gibney, 50. "I just don't see how the kids could get over what happened there." Fran Bresson, a retired police officer who attended Sandy Hook Elementary School in the 1950s, wants the school to reopen, but he thinks the hallways and classrooms where staff and students were killed should be demolished. "To tear it down completely would be like saying to evil, 'You've won,'" the 63-year-old Southbury resident said. Residents of towns where mass shootings occurred have grappled with the same dilemma. Some have renovated, some have demolished. Columbine High School, where two student gunmen killed 12 schoolmates and a teacher, reopened several months afterward. Crews removed the library, where most of the victims died, and replaced it with an atrium. On an island in Norway where 69 people — more than half of them teenagers attending summer camp — were killed by a gunman in 2011, extensive remodeling is planned. The main building, a cafeteria where 13 of the victims died, will be torn down. Virginia Tech converted a classroom building where a student gunman killed 30 people in 2007 into a peace studies and violence prevention center. An Amish community in Pennsylvania tore down the West Nickel Mines Amish School and built a new school a few hundred yards away after a gunman killed five girls there in 2006. Newtown First Selectwoman E. Patricia Llodra said that in addition to the community meetings, the town is planning private gatherings with the victims' families to talk about the school's future. She said the aim is to finalize a plan by March. "I think we have to start that conversation now," Llodra said. "It will take many, many months to do any kind of school project. We have very big decisions ahead of us. The goal is to bring our students home as soon as we can." Associated Press writers Michael Melia and Pat Eaton-Robb in Hartford, Conn., contributed to this report.